One half lesbian-cowgirl and one half Alabama-grown rascal, WolfHawk Comedy is a powerhouse comedy duo comprised of Lizzy Wolfson and Elliot Broder. Brought together by their mutual love of beer, cowboy hats and beautiful women, they began producing/hosting comedy shows together in Denver and now run shows all over Colorado. One Wednesday a month WolfHawk Comedy will be bringing you a fresh lineup showcasing some of Colorado’s funniest stand-ups and nationally touring professionals. 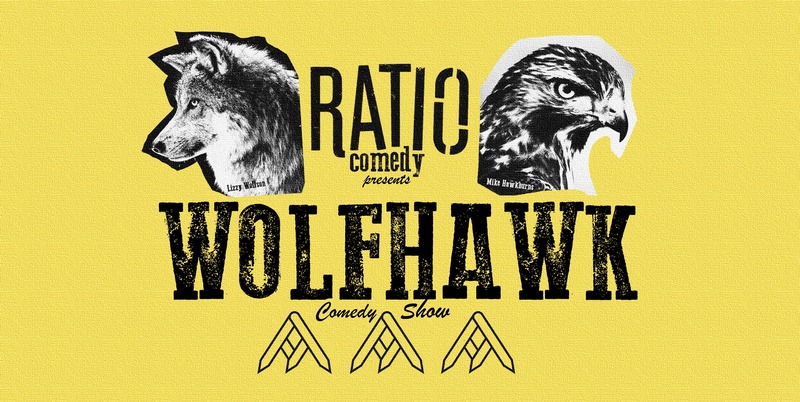 No matter your taste in beer or comedy, Ratio and WolfHawk have got something just for you. Follow us at @wolfhawkcomedy on Facebook and Instagram.